Get verified information about Bankers Life & Casulty Life Insurance complaints email & Phone number. If you wish to make a complaint to Bankers Life & Casulty, the company has various methods to choose from including a complaints line on 1 (800) 845-5512 or 1 (800) 621-3724, email and post on their website. There are a range of help facilities to help resolve any problems with the service. Bankers Life & Casulty provide very comprehensive help, support and complaints handling through the ‘help and Support’section of their website including a complaints number on 1 (800) 845-5512 or 1 (800) 621-3724. Established in 1879 in Chicago, Bankers Life is the primary subsidiary of CNO Financial Group, Inc.. Provide insurance products and services to customers in the United States. 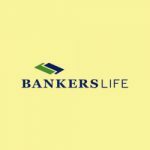 Bankers Life offers a variety of insurance products including long-term care and life insurance, annuities, Medicare products including supplement plans, Medicare Advantage Plans. Hopefully, We helped you to get some genuine records for Bankers Life & Casulty Life Insurance Complaint information. Use below complaint form to discuss problems you have had with Bankers Life & Casulty Life Insurance , or how they have handled your complaints. Initial complaints should be directed to Bankers Life & Casulty Life Insurance directly. You can find complaint contact details for Bankers Life & Casulty Life Insurance above.